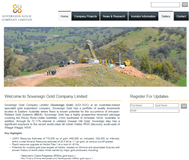 Sovereign Gold Company Limited (Sovereign Gold) (ASX:SOC) is an Australian-based specialist gold exploration company. Sovereign Gold has a portfolio of quality tenements located in Eastern Australia where there is known potential for the occurrence of Intrusion-Related Gold Systems (IRGS). 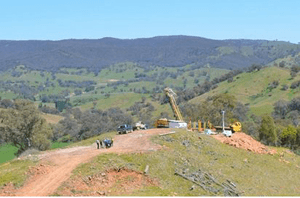 Sovereign Gold has a highly prospective tenement package covering the Rocky River-Uralla Goldfield, 21km southwest of Armidale, NSW, Australia. In addition, through its 72.11% interest in unlisted Gossan Hill Gold, Sovereign also has a significant exposure to the recent world-class Mt Adrah Hobbs IRGS discovery south-east of Wagga Wagga, NSW. The primary exploration objective of Sovereign is to initiate, investigate, review and secure tenements with the potential to host large and economic IRGS gold and gold-copper systems. This prospect origination is then advanced to the prospect stage and canvassed to potential joint venture partners to provide additional funding for further exploration and potential economic development. The main areas which have been targeted by Sovereign, where the potential geological ingredients exist for large IRGS systems, are the Rocky River-Uralla Goldfield region, the Adelong Goldfields / Mt Adrah on the Gilmore Suture in northeastern and southeastern New South Wales, respectively. The recent acquisition of Gossan Hill Gold and the subsequent deep drill testing of the Mt Adrah Hobbs prospect has led to a world-class discovery. The drill results and data to date provide strong indications that a large IRGS system(s) exists in the area. Available production records indicate that the Rocky River-Uralla Goldfield yielded 5,193 kg (approximately 167,000 ounces) of gold mostly from Tertiary deep leads during the period 1858-1967. There are also many historic hard rock gold workings, but preliminary modern exploration only commenced recently and no drill testing has been undertaken to date. The 2003 Geophysical Survey, QN114 conducted by the GSNSW, showed that the hard rock gold workings are derived from magmatic fluids and could therefore represent a much larger mineralising system, raising the possibility that undiscovered lodes should be present. Shallow workings and alluvial gold mining has also been a feature of the Adelong Goldfield since it was discovered in the late 1800's. Gold systems had been recognised in the area previously but until the advancement of the IRGS geological model was confirmed in 1999 no modern deep testing of these features was undertaken. IRGS refers to Intrusion-Related Gold Systems, a new proven gold deposit type only defined in 1999. IRGS was first identified in the Tintina Gold Province (TGP), Alaska-Yukon. According to the US Geological Survey, more than 50 million ounces of lode gold resources have been defined in the last 15 years through this new class of IRGS gold deposits. Given IRGS has previously been overlooked in Australia, there is a potential for a “New Gold Rush" in World Class discoveries in Australia. The closest IRGS analogue is the Donlin Creek Gold Deposit, 32Moz @ 2.91g/t. The Rocky River-Uralla Goldfield and Mt Adrah Hobbs Deposit IRGS exhibits all the hallmark diagnostic features of the Donlin Creek Gold Deposit. In these, gold mineralisation is associated with bismuth, tungsten, arsenic, molybdenum, tellurium and antimony, and the deposits typically have low base metal content. The most common type of Intrusion-Related Gold deposit is hosted in altered igneous rocks ranging in composition from quartz diorite to granite (Lang et al., 2000), associated with ilmenite-series (low magnetic signature) plutons. 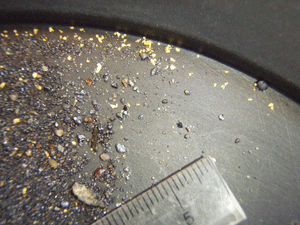 The style of mineralisation has in the past led to some Intrusion-Related Gold deposits being described as "gold porphyry deposits" (Hopwood, 2012). In simple terms IRGS deposits rely on gold existing in the fluids associated with the magma (White, 2001), and the inevitable discharge of these hydrothermal fluids into the wall-rocks (Lowenstern, 2001). In an IRGS model, gold mineralization can occur in multiple parallel veins and stock-works that have a high likelihood of continuing at depth. In the project area there are old gold workings at or near the surface and which are untested at depth. Under the IRGS model, drilling is likely to intersect gold mineralization at depth below these prospects. A metal assemblage variably combining Au with Bi, Te, W, Mo, As, Sb and an ore mineral assemblage typically comprising arsenopyrite, pyrrhotite and pyrite and lacking magnetite or hematite. Metal zoning centred on a central mineralising intrusion. Soil and stream sediment geochemical surveys have located parallel gold anomalies that are coincident with sheeted quartz vein arrays in hornfelsed metasediments (e.g. above plunging shoulder of Khatoun Tonalite) and the Uralla Granodiorite. Some anomalies are up to 10s of metres wide and 100s of metres long – situated in carapace of Uralla Granodiorite. Many gold occurrences can be linked to highly fractionated minor plutons and quartz-exsolved felsic dykes. Collectively the data at Rocky River is a positive indication for the existence of a substantial IRGS mineralising event not previously recognised. It is associated with a magnetic linear structure and pluton-metasediment contacts that could host shallow bulk mineable stockworks or multiple vein systems and deeper hypogene gold. 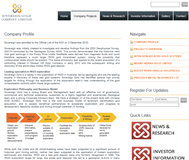 The Sovereign / SUGEC JV Project Tenements are centred on the town of Uralla, and are located 21 kilometres southwest of Armidale in the New England district of New South Wales. The area is extremely well supported by existing infrastructure, road, rail, power and engineering. Positive landowner relationships throughout Uralla-Armidale-Guyra districts. Open access to predominately grazing country for fine wool and cattle. High environmental standards using low impact equipment coupled with continuous rehabilitation exploration methods. The Rocky River – Uralla Goldfield was discovered in 1852 and has a recorded production of 167,000 oz gold (noting the actual figures could be twice the recorded amount). 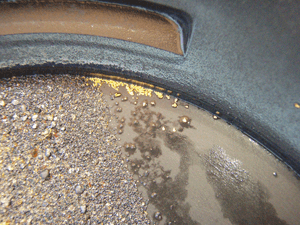 There is potential that several tonnes of gold remains in the current alluvial system. 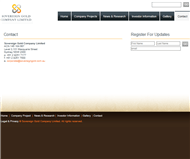 IRGS deposits have liberated up to 15 tonnes of gold to river deposits. This IRGS has striking similarities to the giant Donlin Creek IRGS deposit, with gold in dykes like Martins Shaft, of the Yukon-Alaska running Tintina Gold Province. 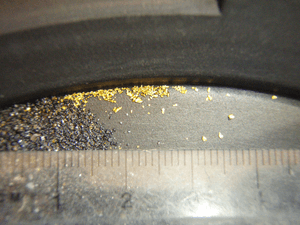 Sovereign Gold has determined that many of the historic gold mines are closely associated with minor intrusions and felsic dykes. This association indicates an IRGS may be present. The recognition of an IRGS, is important because it means there is potential for the gold deposits to be much larger than that indicated by exposure of mineralisation in old workings. Historically, most of the gold from the Rocky River-Uralla Goldfield was produced from Tertiary deep leads. In earlier times, however, not a lot of work was done to find the source of the gold. Gold that was won from hard rock mines was assumed to represent a series of small isolated Orogenic Gold Deposits, rather than an inter-related system. Today it is recognized that the Rocky River-Uralla Gold Field has the hallmarks of what is now known as an IRGS. Many of the mines plot on or are near a major magnetic linear feature that coincides with the Old Bonanza Dyke. This feature is continuous over several kilometres and strikes northeast. Other mines plot on a slightly different northerly trend that intersects the northeast trending magnetic feature. The magnetic features are suggestive of strong structural controls that are of particular interest wherever they intersect. This mine was partially developed on two levels, Level 1 at 56m and Level 2 at 89m depth. The orebody is a 1.3m to 1.9m wide quartz-sulphide vein and with alteration zones into the adjacent granite. Grades are variable but ore crushing records indicate grades up to 1oz/t. The Goldsworth Mine area, mineralised lode constructed with yellow triangular wire frames, with solid shading -gold mineralisation potential present over several kilometres of strike and at depth. 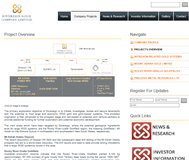 Mount Adrah Gold Limited (“Mount Adrah") is an unlisted exploration company with numerous gold prospects in New South Wales. Previous exploration indicated the potential for a significant gold resource presence at the Mount Adrah properties and in particular, the recently discovered Hobbs Intrusion-Related gold system (IRGS) deposit which should enable Sovereign Gold to rapidly deliver resource growth and leverage off its experience exploring for IRGS in New South Wales. Mount Adrah Mt Adrah project holds quality tenements around areas of known historic gold occurrences. Sovereign holds 80% of Precious Metal Resources Ltd (ASX:PMR) an ASX listed exploration company, with a World Class deposit potential in base and precious metals – copper, lead, zinc, silver and gold. Additionally, PMR has signed a JV with SUGEC who are spending $10m on exploration to acquire a 30% interest in 3 Licences. PMR and Sovereign Gold have significant cost synergies and PMR provides Sovereign with increased scale, resources and exploration opportunities. The Halls Peak project is located 80km south-east of the regional NSW town of Armidale and consists of three granted tenements (EL7679, 5339 & 4474). It is a 4 hour drive to the port of Newcastle NSW. The Company believes that Halls Peak is highly prospective for high grade copper, lead, zinc and silver massive sulphide deposits. PMR is exploring for such deposits with a heliborne VTEM survey identifying large conductors that may be potential large SEDEX deposits. In addition, PMR is investigating orogenic gold deposits. Halls Peak has historically been subject to historic small scale mining with a number of operations by prospectors at various periods between 1916 and the late 1970s. Typically, these mines targeted copper, silver, lead and zinc from both gossans and massive sulphides. Additionally, exploration and drilling work was done by big major miners, including BHP Co Ltd, Mt Isa Mines Ltd, The Zinc Corporation, Allstate Exploration N.L., Carpentaria Exploration Co. Ltd, CRA Exploration Ltd and Amoco Minerals Australia Co., which individually owned competing leases in Halls Peak in a time of low base metal prices. PMR has since consolidated 3 exploration licences ELs 4474, 5339 and 7679 (132km2), to cover all known areas of mineralization at Halls Peak. Recent work has also identified numerous gold–rich quartz breccias values between 0.7 - 10.4g/t Gold. In addition, resampling and reassaying of c.4,000m of historic diamond drill core (from 1969 – 1974) has indicated that previous explorers did not assay some holes for silver and base metals as the mineralised rocks appeared almost identical to un-mineralised rocks. The primary focus at Halls Peak by PMR is base metals exploration. Greenstone Belt Gold: Californian Mother Lode Au. Orogenic Liswanite (Silica-Carbonate-Au)-hosted Gold – Approximately half the World's gold has been produced from greenstone hosted deposits. Intrusion-Related Gold systems (Large tonnage Au deposits). Altered gold-bearing monzonite dykes. High Grade Narrow Vein Orogenic Reef/Structure. PMR's near term priority for Peel Fault will be on Crow King, EL 6648. The EL contains clusters of historic gold deposits over a 6.5km NW corridor. The area has been subject to 3DIP geophysical surveys which have identified a number of key gold target areas. 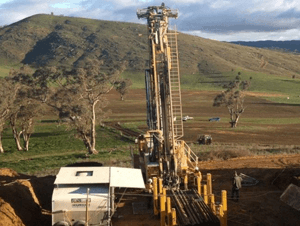 An RC drilling program, as well as a deep diamond hole is planned to test the extent of potentially economic mineralisation, initially discovered by previous owner Icon Resources Limited (now Carbine Tungsten Limited). The project contains a significant amount of historic work including a large Government database, soil geochemistry, and geophysical surveys. Given the long history of lead-zinc-silver mining at Broken Hill, previous exploration was typically focussed on lead-zinc-silver mineralisation only, with little interest in copper-gold. A similar minerals field, Mt Isa, has copper deposits closely related to the lead-zinc-silver, but which were found many years after mining started. 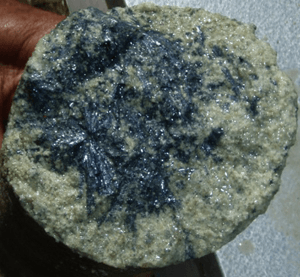 PMR believes that the copper is typically located in vent zones for the lead-zinc-silver mineralisation, and the company is now targeting such vent zones. 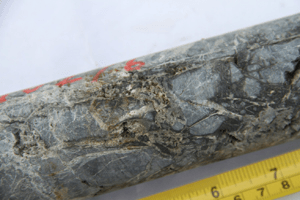 Given the historic lead-zinc exploration focus, previous exploration targeted mineralisation related to stratigraphy, with little structural analysis done. However, with PMR's focus on the vent related copper-gold mineralisation, the mains controls for this are structure, not stratigraphy.